CLOUD imagines the site, an unoccupied and dilapidated shophouse, as a physical representation of non-digital data. Here, data is implied via video content from Youtube, depicting the everyday activities of city folks; people walking on the street, a crowd peering into window displays, a man jogging in a park. The employment of mist is an attempt to represent this data in physical 3D form, while lending a fleeting and ephemeral feel to the data, suggesting the temporal, transitory aspect of memories. The work was installed to be experienced from multiple viewpoints; inside the building, in front of the glass window panels as well as from across the street. Each of these viewpoints invoke a different experience for the audience, enabling a multi-layered engagement with the work. 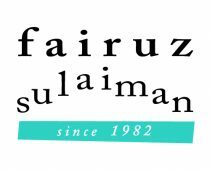 CLOUD from fairuz sulaiman on Vimeo.